Country Living at its finest ! 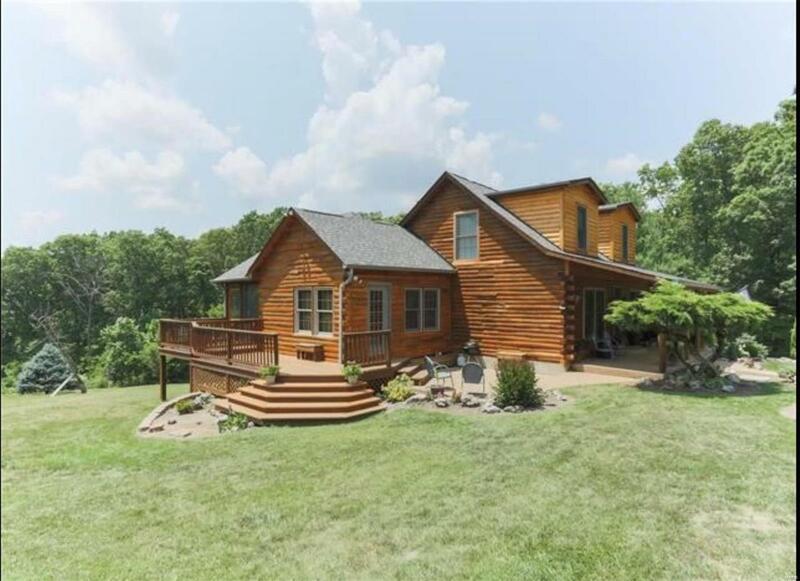 This custom built log home is one of it's kind, nestled on 4+/- acres. Enjoy your morning coffee on the spacious covered porch and watch he seasons unfold. Upon entering, is a dual open and beautiful stairway . Great room features a gas fireplace and piano area. Vast windows provide natural light and pristine views. Separate dining , and kitchen boasting custom cabinetry, and newer countertops. One extraordinary focal point is the French doors that leads to an additional Family Room area. From here, there are 13 ft. slider doors that lead to spacious screened in porch area. Main floor half bath completes the main floor. 3 beautiful bedrooms and newly remodeled bathroom are located up the stairway. There are options available for school districts, Sullivan, Potosi, or Crawford County according to seller) please inquire for more information. Listen to the sounds of silence at 12903 Hwy N and "Give Your Dreams A New Address"